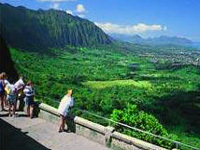 Join us for one of the most spectacular tours of Oahu on our Best of Oahu's Famous Landmarks Tour. 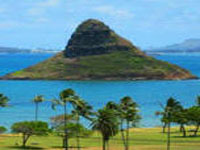 This is an exclusive tour offered only by Island Marketing Ltd /Hawaii Cruise Excursions. Discover the best of Oahu, see impressive landmarks, experience stunning views of Oahu and visit one of Hawaii's top rated, most beautiful beaches on this circle island tour. Your driver will accompany you throughout the day ensuring that everyone is catered to in every way possible. Our drivers are experts on Oahu and will take time to share their knowledge and love for our island. * Cruise Ship Terminal or Waikiki Resorts: Your tour begins with a pick up from your cruise ship, or your Waikiki Resort. * Diamond Head Lookout: Your first stop on our tour is one of Hawaii's most famous landmarks. See the Amelia Earhart memorial and learn the secrets and legend of this dormant volcano. * Nu'uanu Pali Lookout: This dramatic lookout point has views of the Ko'olau Mountains and the Pacific Ocean. Learn about the history of this outstanding location. 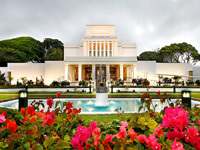 * Laie Mormon Temple: A to visit the beautiful LDS temple. Please note as this is fully functioning temple, respectfully, tours are limited to viewing the exterior and grounds only. * China Man's Hat: originally known as Mokoli'i, learn the legend of this famous monument and how it earned it modern day name. * Waimea Bay Beach: Here you have the opportunity to take the plunge from the famous rocks at this outstanding Hawaiian beach. This beach location is impressive as it varies drastically from season to season. In the summertime you will see a gorgeous white sand beach with crystal clear turquoise waters. In the winter, you can expect to see surfers ride some of the largest and most thrilling waves in the world. 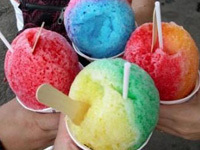 * Hale'iwa Town: At this historic picturesque North Shore town you will have the opportunity to try the famous Hale'iwa's Shave Ice. * Dole Pineapple Pavilion: At the headquarter of the pineapple kingdom you will have an opportunity to shop for souvenirs and sample a variety of fresh pineapple products. 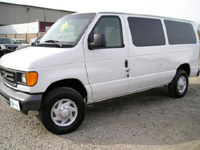 Our Island Tour is designed to cater to each parties individual needs. Your diver will take time to share all their knowledge and history of Oahu with you. Recommendation: This tour is recommended to those staying at on-island at Waikiki resort hotels and for cruise ship passengers. Airport drop off and luggage handling is available with this tour at no additional charge.